THE DEPARTMENT OF Finance is paying external consultants just over €140,000 to help assess if bankers’ pay should go up, with a report due to make a recommendation by the end of this year. After a tendering process, consultants Korn Ferry were awarded the contract last month to help the department in compiling this report, with Minister for Finance Paschal Donohoe saying that State-owned Irish banks are at risk of losing top talent because they can get paid more elsewhere. The Irish State has had stakes in AIB, Bank of Ireland and Permanent TSB since the banking crash a decade ago, and the government took measures then to cap the pay of top executives at €500k. However, the minister commissioned a review into this practice and recently told the Oireachtas Budgetary Oversight Committee that due to the presence of numerous international banks in Ireland not subject to these wage caps, the issue had to be addressed. At that same committee hearing, Labour’s Joan Burton told the minister said she was “outraged” to hear that the government was going down this road and said she believed the members of the public would also be shocked to hear that bankers’ could be in line for a pay bump. Responding to a parliamentary question from Sinn Féin’s Pearse Doherty, Minister Donohoe began by outlining the “extensive restrictions” in place, which are “not imply confined to a handful of senior bankers whose pay is restricted by the €500,000 pay cap”. He said that while the State remains the largest shareholder in AIB, Bank of Ireland and Permanent TSB, the recovering economy at home and abroad has created a very competitive jobs market for the skills that banks require in a number of areas. The government’s goal of recovering its full investment in the banks would be undermined if the banks’ performance was negatively affected. Following the procurement process that awarded the consultation contract to Korn Ferry, it is expected that the review on bankers’ pay will be completed by the end of the year, with the review itself set to be published in the first three months of 2019. This process will involve consultation with the department, the banks, the Financial Services Union and a range of investors. 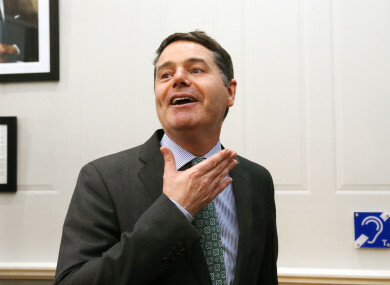 Donohoe added: “It is also important to note irrespective of the outcome of this review, and what advice is given on the reintroduction of variable pay or bonuses, the ‘super tax’, which sees 89% of bonuses being paid back to the State will remain in place via the Finance Act 2011. The power to alter that remains exclusively in the hands of the Oireachtas. Email “Report on increasing bankers' pay due by end of year after government enlists €140k external consultants”. Feedback on “Report on increasing bankers' pay due by end of year after government enlists €140k external consultants”.